This was the premiere production of this new script by Mark Medhoff. 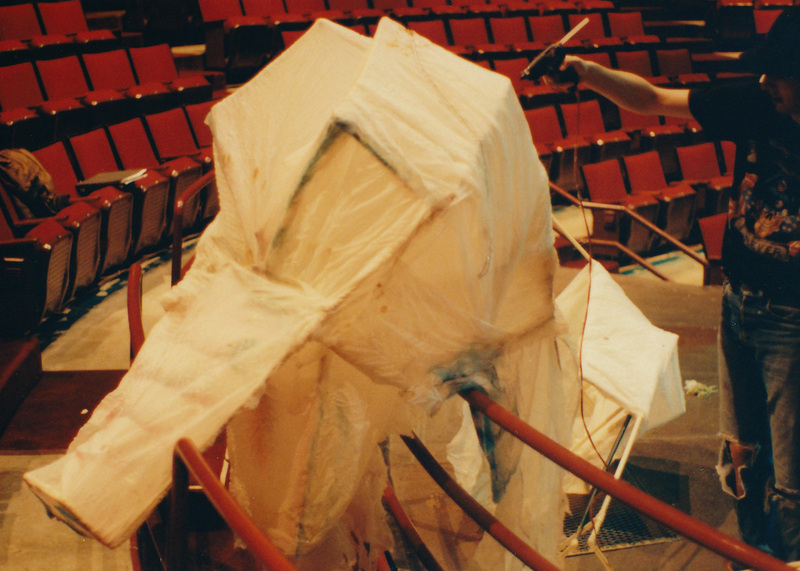 It was directed by Tom Empey and performed in the Krampert Theatre at Casper College, Casper, Wyoming. Set in a fantasy world, it required a space in which almost anything could happen. 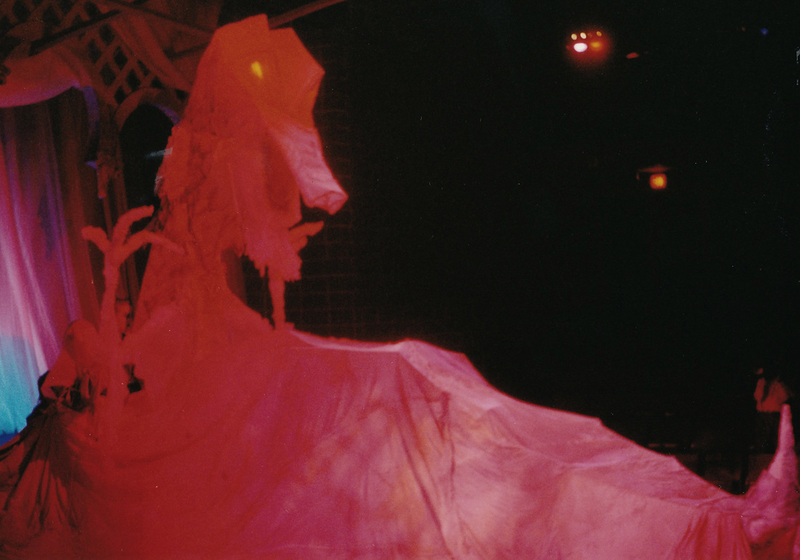 Keeping in a light, colorful palette, the set allowed the lights to create much of the rich hues for each location. 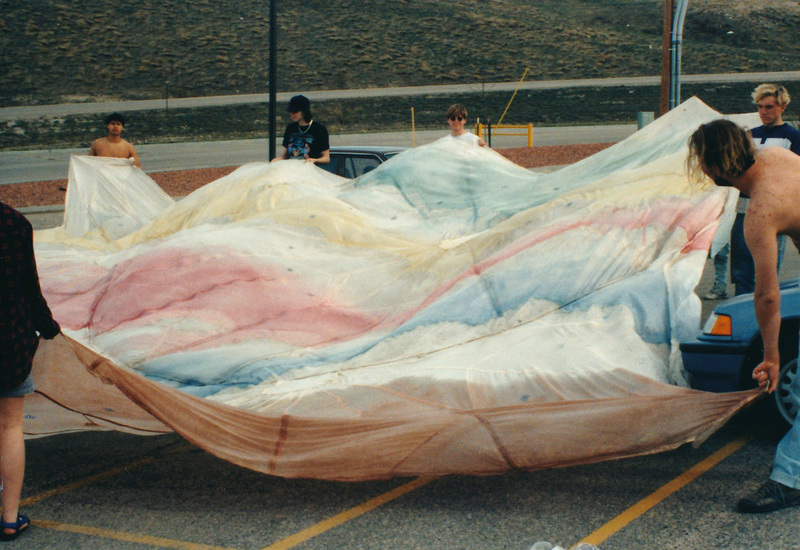 The major scenic element was a large parachute, also in the pastel color range that allowed characters to appear and disappear, as well as other fantastic characters, even a mighty dragon. 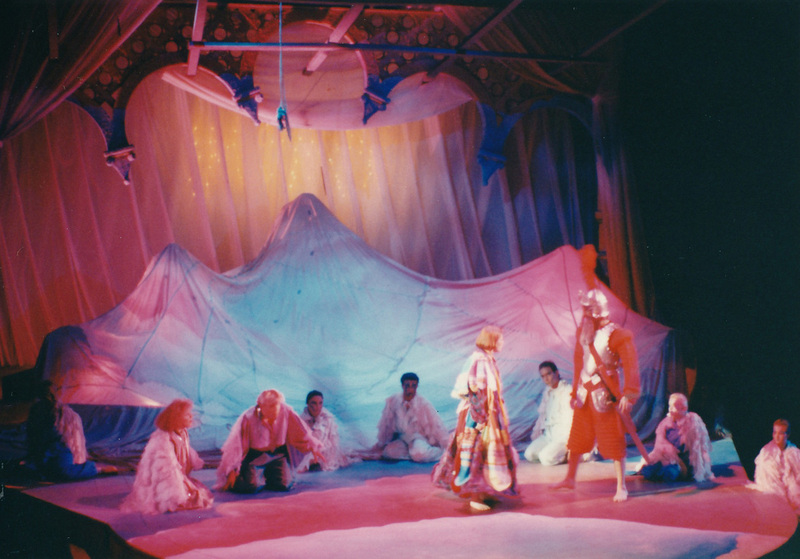 As the cast surrounded the parachute and caused it to bellow into the air, many characters and props came and went in a magical manner.